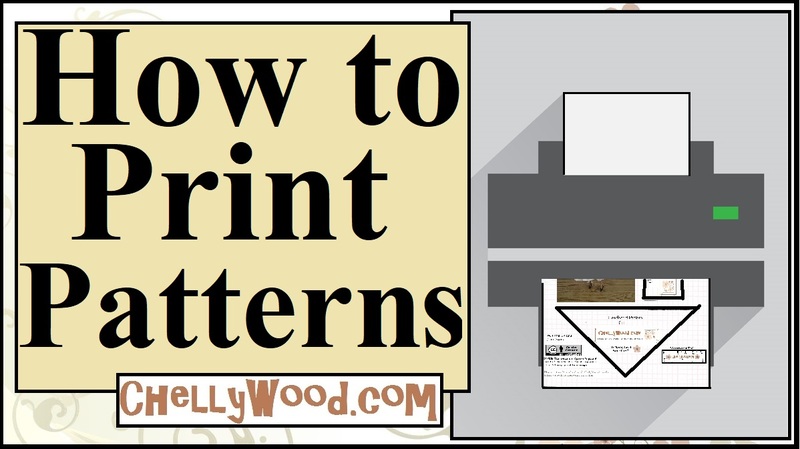 Visit ChellyWood.com for free, printable doll clothes patterns for many different sizes of dolls. As you can see, the new “Tall Barbie” is only slightly taller than my Liv Doll (from Spin Master), but significantly taller than Momoko (from Sekiguchi). When she arrived earlier this week, I was so excited, I couldn’t sleep in, even though I had the day off! I got up at 5 AM and started designing patterns for her! And yes, I’ll be offering my FREE Tall Barbie patterns right here, on ChellyWood.com, just as soon as they’re complete. The shirt Tall Barbie wears in the image above is just a prototype. I usually expect a “fail” when I first design something for a new doll. Like building a Rube Golberg Machine, you’ve got to expect there to be a slight learning curve before you have ultimate success, and as you can see, the raglan sleeve top I made for Tall Barbie doesn’t quite fit her. So this week, I’ll be posting my patterns for the flat shoes that fit Momoko, Liv Dolls, Tall Barbie, and, yes, of course they fit Skipper too. I’ll also post this pattern for a raglan-sleeved tee shirt to fit Liv dolls. And as usual, I’ll have tutorial videos to accompany both the shoe pattern and the raglan-sleeved T-shirt. As far as Tall Barbie goes, be patient! These things take time. Once I’ve got a pattern I’m happy with, I’ll post it for everyone to enjoy. And yes, when my Petite Barbie and Curvy Barbies arrive, I’ll definitely post my sewing patterns for them as well. If there’s something you guys really want, be sure and leave a request in the comments. Would you rather have pants patterns? Shorts patterns? Dress patterns? Long skirts or short? Let me know what you’d like me to design. Until I get orders for more Lammily doll clothes designs, I’m free to design whatever my followers request! I ordered mine. A few will be back ordered, and I set email reminder when the others I want are available. Chelly, this is Maggie M. And, FF is our business. How much taller is she that original? Hi Maggie! Thanks for leaving a comment. 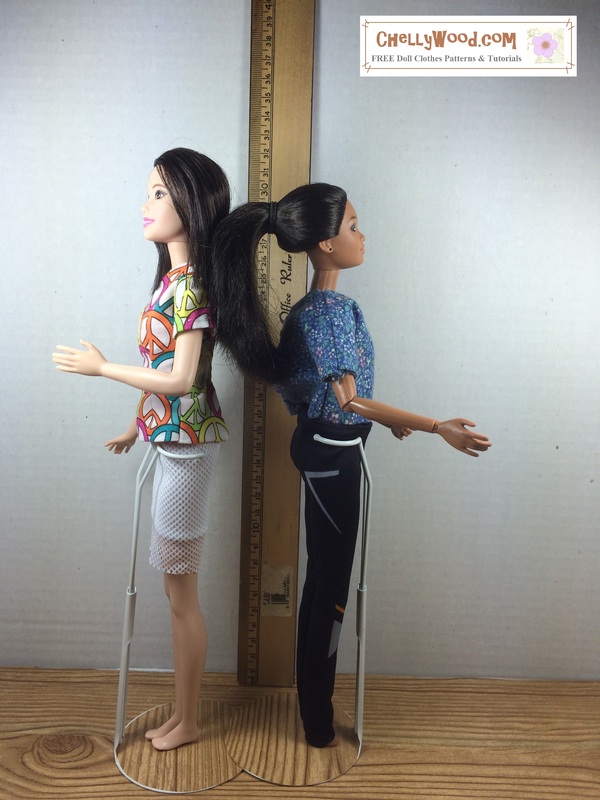 I was surprised; “Tall Barbie” is not really that much taller than original Barbies. However, she stands on a flat foot, rather than a high-heel foot, so her inseam is longer. Here’s a photo of the two of them back to back. You’ll notice Tall Barbie is about 1.5 cm taller. That’s my best guess, anyway. Ty Chelly. I’m looking forward to receiving my girls, too. Excited about what you will create for them. I would to see a strapless gown pattern made for them, as well. My sister loves to create lavish gowns. Okay, I’ll keep that in mind. Strapless gowns are pretty easy to do. Tonight I’m working on a prototype pair of jeans for Tall Barbie. I’m hoping the prototype works out well enough to post.